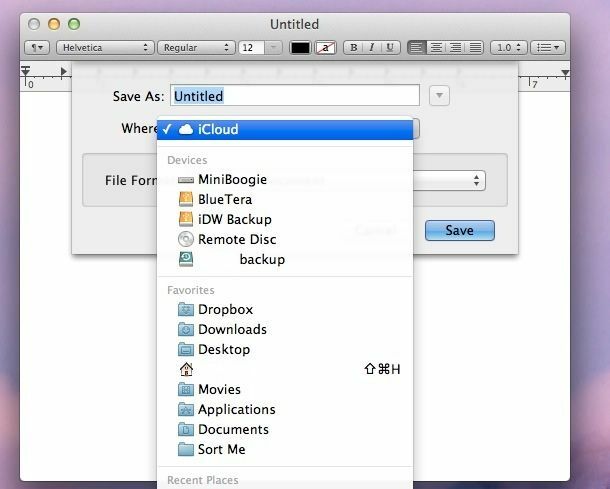 Now, when you go to save a file in Text Edit or other iCloud-enabled apps, the default will be on your local Mac, instead of iCloud. Mine defaults to my Documents folder. You can still save to iCloud, of course, just click on the popup menu and choose iCloud as your save location, as per usual. If you find yourself wanting to save stuff to iCloud more easily, again, and want to turn things back to the way they were, simply type or paste the below command into a Terminal session. Easy! Now it’ll all be back to iCloud as normal. Hooray! Are you using OS X Mountain Lion? Got a tip you want to share with us? Drop me a line or leave a comment below.